Motorcycles, Scooters, Rides & Customs! 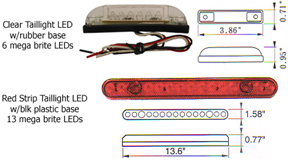 We offer many high quality Brite Lites and Brite Lite accessories to customize your ride and improve the light output or just personalize it to your unique look. 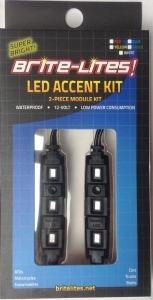 We offer several DOT approved lighting options and some "off-road/show" items. Please check all local laws before installing or using ANY non-DOT approved lighting products. (We just want everyone to have fun!). New Harley's with the right angle plastic headlight bulbs and driving light bulbs(881) are available in the middle section of this page, under modern headlights. In our Z-Bulb Xenon Gas Brite Lites, we now have the P45t base bulb available for ATVs. If you are interested in purchasing on line, just click on "MORE INFO" on the desired product below and use our secure shopping cart to make your purchase fast & efficient! We offer 11 different classic H4, P43t base, or 3-prong, type of high quality Brite Lites to improve the light quality, add color, or do both. We have Xenon Gas boosted Brite Lites that are 30% brighter watt for watt over standard halogen bulbs and are available in several different wattages and colors. Our halogen Brite Lites are Mega Hi-Power and the largest bulb on the market with the 130/100 watt "Flame Thrower". We also have a Coated Blue halogen to give a deep blue light like no other. We offer 6 different Brite Lite options for bikes with the newer style headlights, such as the 2-prong H7 in the BMW's and the Goldwings, the HID type H8 & H11 in the 2006+ Harley's and 2003+ Victory, and the H1/H3 & 880 plastic base styles in many light bars. All of these Brite Lite types are very high quality replacement capsules to improve the light quality and make your bike one of a kind. For the newer 2006+ Harley Davidson bikes with factory driving lights, the 881 plastic R-angle bulb is available under the H3 below (H3 is the traditional driving light bulb) We offer it in a 50 watt version. We offer many different quality Brite Lites accessories to make your bike unique. 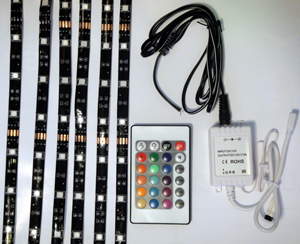 Much of our newest development is in the LED lighting and LED Accent Lights. 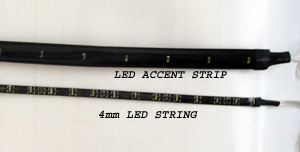 Check our new Multi Pak LED Strings & Strips for something really cool! Our accessory items are both functional and practical items to customize your ride.